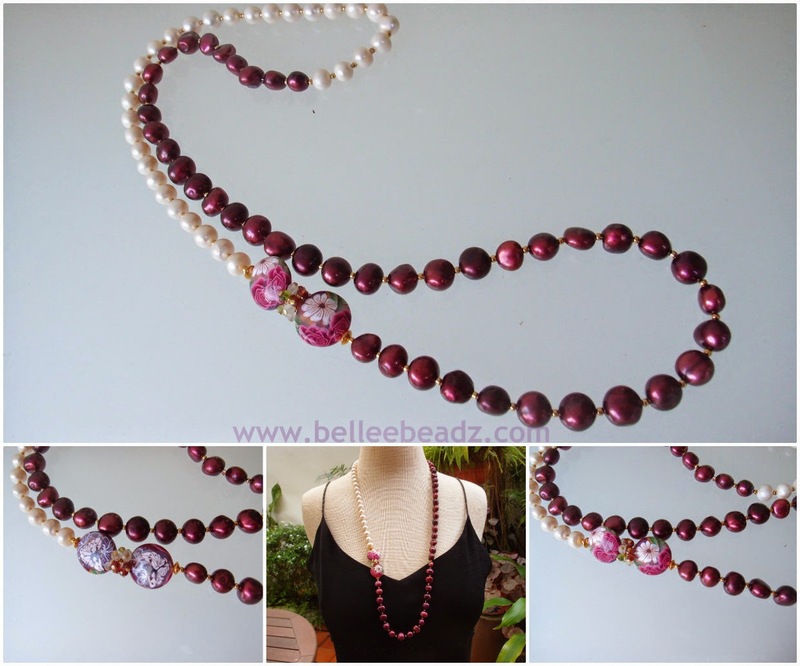 A lively festive piece featuring plum and white freshwater pearls. Polymer clay lentils featuring flowers on one side and butterflies on the other, in the same tone are added together with a cluster of garnet, rose quartz and light peridot rondells. Necklace slips over head without fastener so the side focal can be adjusted to a position that you favour without showing any fastener.